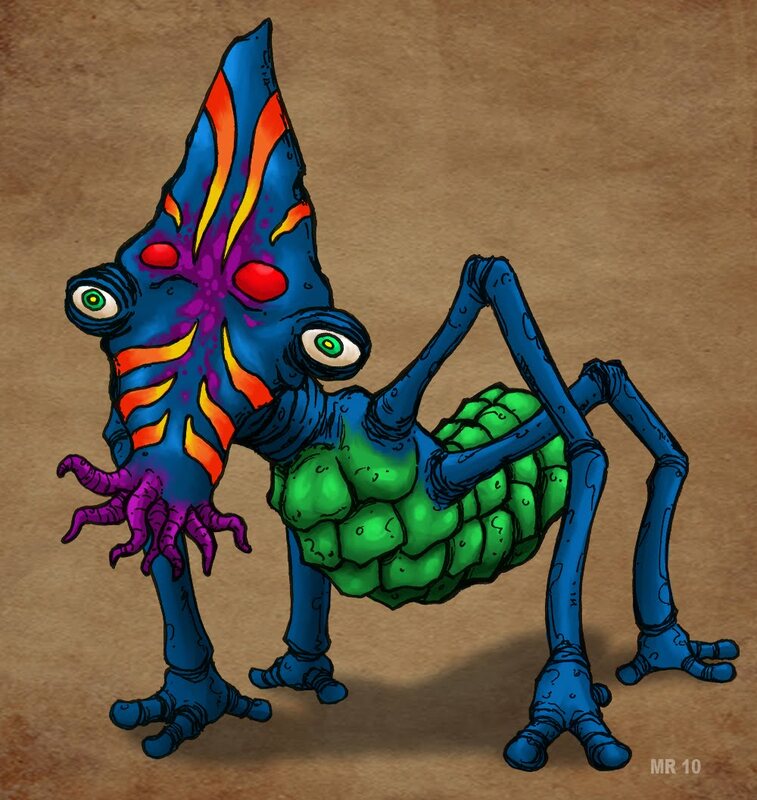 The Sckraturites are a race of intelligent insectiods from a far away jungle planet. They are spread throughout the five major continents, loosely organized into nation states, each possessing a differing level of technological advancement. Sckraturites usually walk on all fours, but are capable of using the finger-like appendages at the end of each limb to manipulate objects with ease. Their species consists of several different races, each with unique markings, coloration, and additional features such as head crests, quills, etc.